The City of Malibu turned 25 on Monday. Technically, it turned 25 on June 5, 2015, the day that Measure Y passed by a landslide. But March 28, 1991, was the day Malibu officially became a city, and what a strange, long, hard journey it was to get to that day. It’s been said the fight to save Malibu from the county’s plans for a major metropolis was like poor old Sysyphus, pushing that stone uphill, but to me it was more like a mashup between the Mad Hatter’s Tea Party and Hercules battling the hydra—every time residents succeeded in defeating a project, ten more sprang up, and the rules changed all the time, leaving everyone scrambling for a chair at the table. 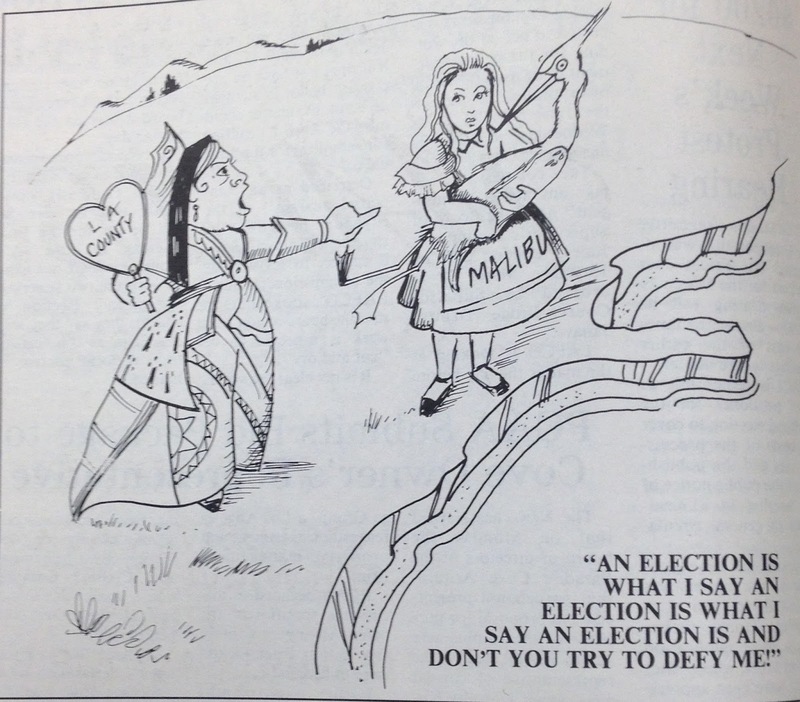 This cartoon from the Malibu Surfside News highlights the Alice-in-Wonderland-like lunacy of the incorporation battle and casts the county as the Red Queen. It’s hard to convey just how crazy the whole process was to those who weren’t involved in it. 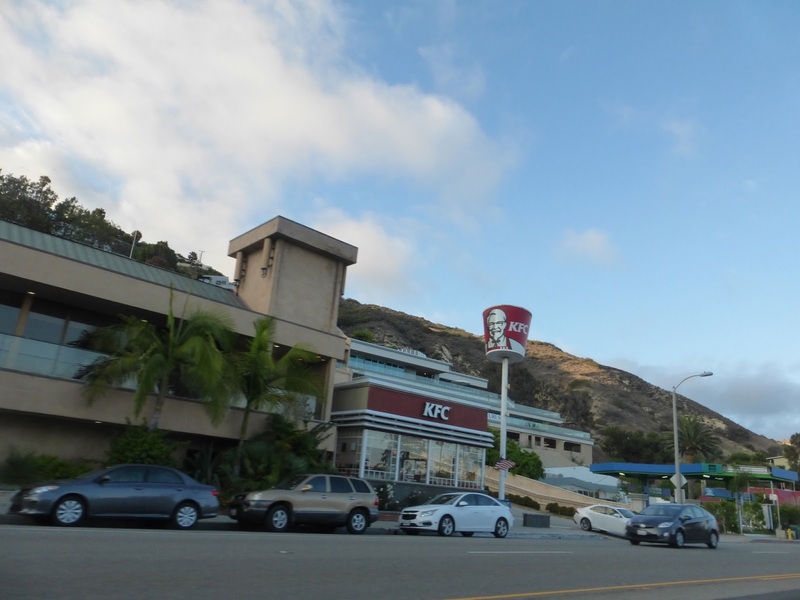 I summarized the three previous unsuccessful attempts at incorporation, as well as some of the other challenges leading up to the final cityhood vote in the March 23, 2016 issue of the Malibu Surfside News. You can read the story here. But somehow the article doesn't entirely convey the sense of urgency and anxiety. I was a small child during the 1975 incorporation effort and an undergraduate in college during the 1991 battle. For almost as long as I can remember, my parents were involved in the fight to save Malibu. They held meetings in the living room, spent weekends and evenings gathering signatures and meeting with officials. My dad traveled to Los Angeles for Los Angeles County Board of Supervisors meetings and to Sacramento to meet with state officials. I grew up stuffing envelopes and walking voting precincts, and I definitely wasn't alone: a whole generate of Malibu kids participated in the Malibu revolution. The county had plans for a golf course and housing at what is now Charmlee Wilderness Park. They also had plans for 2.2 million square feet of development in the Malibu Civic Center, vast blocks of high rise apartment buildings along PCH; a shopping mall at Trancas; a high intensity development with 700-800 housing units, plus shops and restaurants at Topanga Creek; a giant marina between Paradise Cove and Point Dume and even a multilane freeway through the Santa Monica Mountains. It's not surprising Malibu residents felt besieged and disenfranchised. While many battles were being fought on all fronts, the sewer became the major focus for the simple reason that a central plant was essential for the high density development envisioned by the county. Without the sewer, the 2.2 million square feet of development planned for the Malibu Civic Center—a 1988 L.A. Times article described it as "equal to roughly one-quarter the office space in Century City," and the high-rise apartment complexes, shopping centers, golf courses, county clubs, and marinas could not be built. If things had gone the way the county planners intended, Corral Canyon Park would be a golf course, county club, and housing tract. A dozen years earlier, planners wanted a nuclear power plant in the same location. Today, the canyon and its spectacular views are safe from power plants and golf courses as part of the Santa Monica Mountains National Recreation Area. 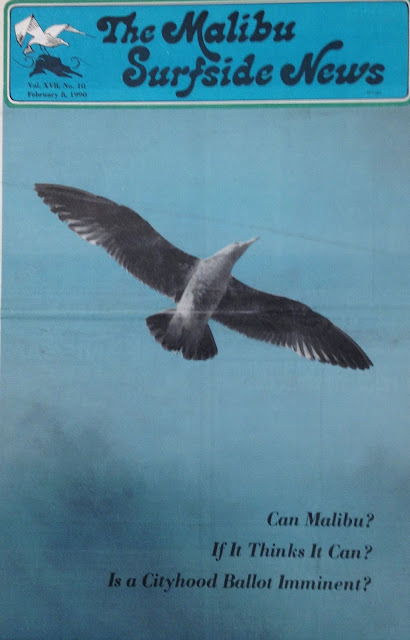 In the Surfside article, I wrote: "A 1966 report by the Los Angeles Regional Planning Commission predicted that with sewers to accommodate growth, the population of Malibu would expand to 117,000 by 1980. Malibu voters fought back, overwhelmingly defeating county-sponsored sewer bond measures in 1966, 1968 and 1971." The Corral Canyon nuclear power plant is a favorite example of out-of-control Malibu development plans, but the marinas were a much bigger threat. The power plant never got past the initial planning phase once the geology of Corral Canyon was examined, the yacht harbor plot endured for decades. The first plan, for a small craft harbor at the Malibu Lagoon, was proposed immediately after WW II. The Malibu Post took a look at that particular battle in a blog post titled "Sailing onto the Rocks." The Malibu Lagoon marina plan rematerialized in the 1960s and involved using vast amounts of fill from the proposed Malibu Canyon Freeway to channelize Malibu Creek, build a massive breakwater and create a full service yacht harbor. What is now Malibu Lagoon State Park was purchased with a marina, not a wetland, in mind, but Paradise Cove was the county's pick for a marina that would have been essentially a small city. 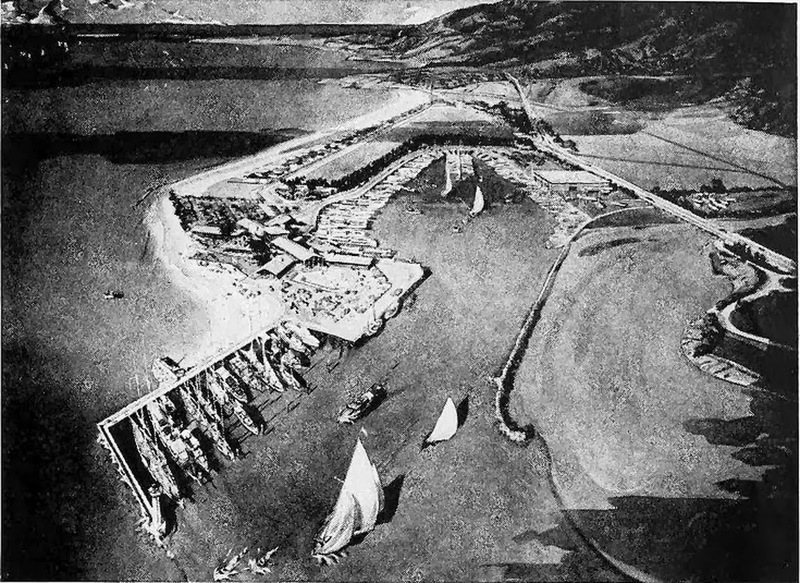 An artist's representation of the Quarterdeck Club, the first Malibu Lagoon yacht harbor proposal from the 1940s. 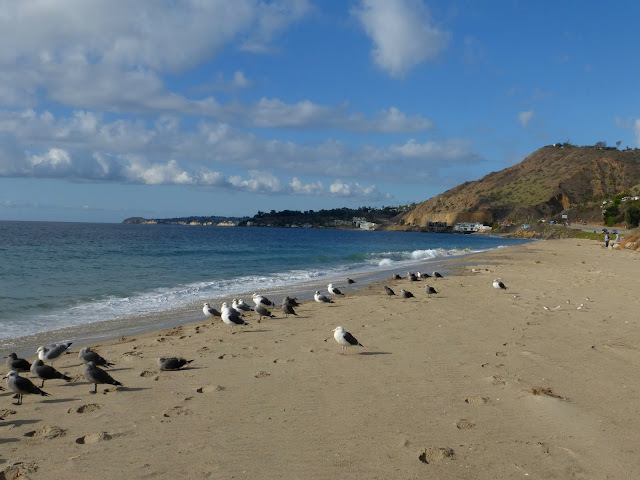 The project refused to die and had to be fought off multiple times by Malibu conservationists over three decades. By the time this plan was finally dead, the county had set its sights on a marina at Paradise Cove. There were even plans for small craft harbors at Topanga Creek and Sequit Cove, at what is now Leo Carrillo State Park. The plan to transform Paradise Cove into a harbor first surfaced in the 1950s, when the Army Corp of Engineers announced it was was on board with a plan to build a breakwater and small boat harbor with a 1500-1800-foot-long breakwater. A November 20, 1960 Los Angeles Times article states, "A committee of the Malibu Chamber of Commerce expects to meet shortly with Rex Thomson [county director of small craft harbors] and L.A. County Supervisor [Burton] Chace to push the project." Burton Chace seems to have had a bee in his bonnet over the boat harbor idea. By 1964, he had plans for four Malibu boat harbors. He was egged on by Realtor Bill Reid, the president of the Malibu Chamber of Commerce, who apparently shared the view of Kenneth Graham's character the Water Rat, that "nothing is half so much worth doing as simply messing about in boats." By 1969, the ever-expanding Paradise Cove/Point Dume harbor plan ran afoul of the surfing community. Suddenly, the planners had to deal with a whole new level of ocean advocacy. "Good beaches for surf riding are diminishing everywhere," Western Surfing Association representative Robert Scott told the L.A. Times. But the county continued to push for the project, seemingly oblivious to a rising tide of opposition. An $11-million budget for the Paradise Cove marina was proposed in 1971. A 1972 article states that the county continued to prefer the Point Dume location despite "opposition running two to one there." "We, the undersigned, request that no further funds be appropriated for, or expended by, the U.S. Army Corps of Engineers, the State of California, or the County of Los Angeles for the study, design, or construction of a marina, boat harbor, or related facilities along the fragile Malibu seashore. "The narrow coastal Malibu bluffs and beaches are a priceless resource, the last unspoiled coastline and of major importance to the entire Los Angeles Metropolitan region. 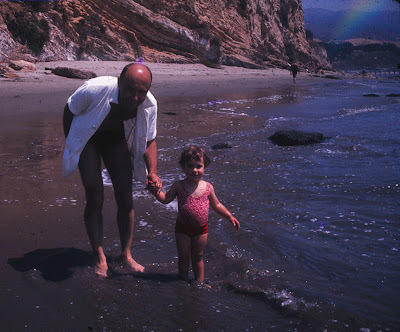 Dad's first Malibu fight was over that marina, his second was to save the Point Dume Headlands. A hotel was originally planned for the bluff, later the county wanted to flatten what is now the wildlife preserve and make it into a parking lot. Malibu activists, including my dad, battled county plans to bulldoze and develop the Point Dume Headlands. 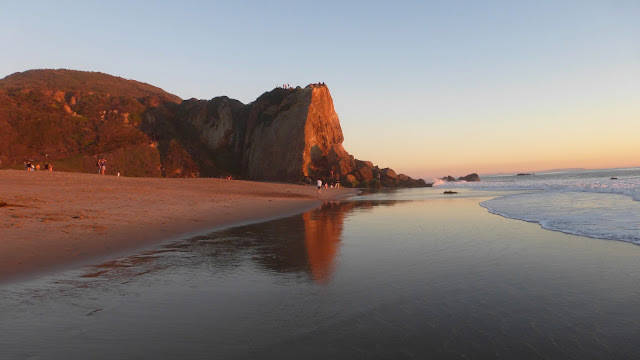 Throughout the 1970s and ’80s, my parents gathered signatures for the Coastal Act initiative, the Santa Monica Mountains National Recreation Area, and Malibu Incorporation. 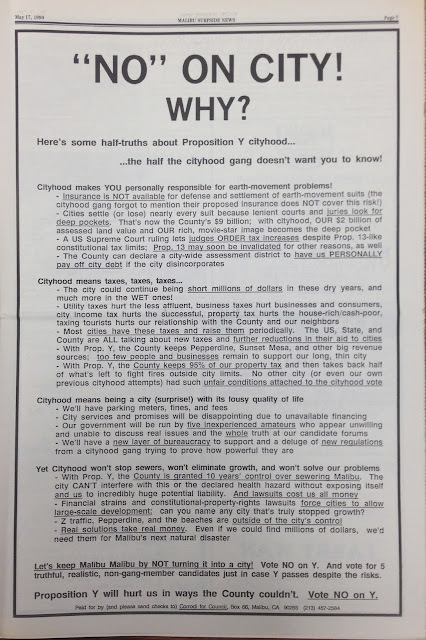 They wrote letters, attended and held meetings opposing plans for hotels, golf courses, apartment complexes, housing tracts, marinas, and parking lots, in addition to the infamous sewers. My dad served on the board of the local homeowners association and on the Malibu Township Council, the community organization that served as the main voice for Malibu's residents and was the driving force for the incorporation effort. 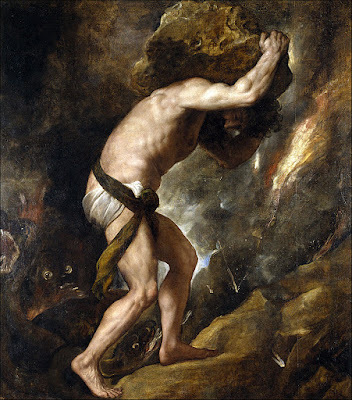 Juggling all that activism with a full time job didn't always leave much time for anything else. It's only a flesh wound! 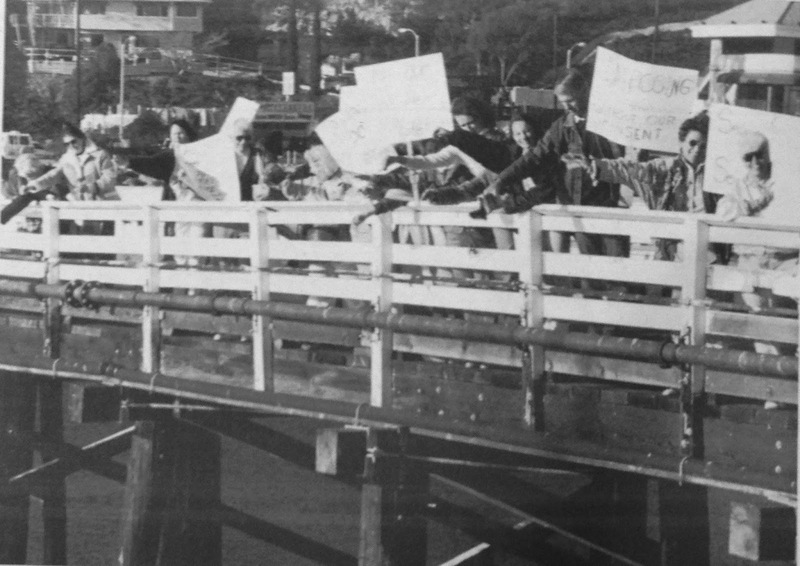 Malibu activists refused to admit defeat despite major setbacks in early 1989. This cartoon appeared in the January 19, 1989 Malibu Surfside News. 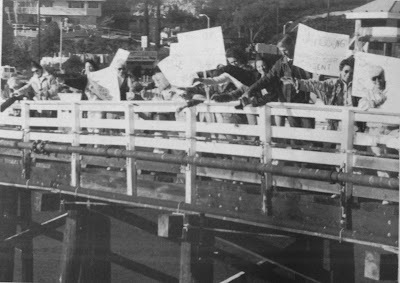 Activists up and down the state passed the Coastal Act in 1972. 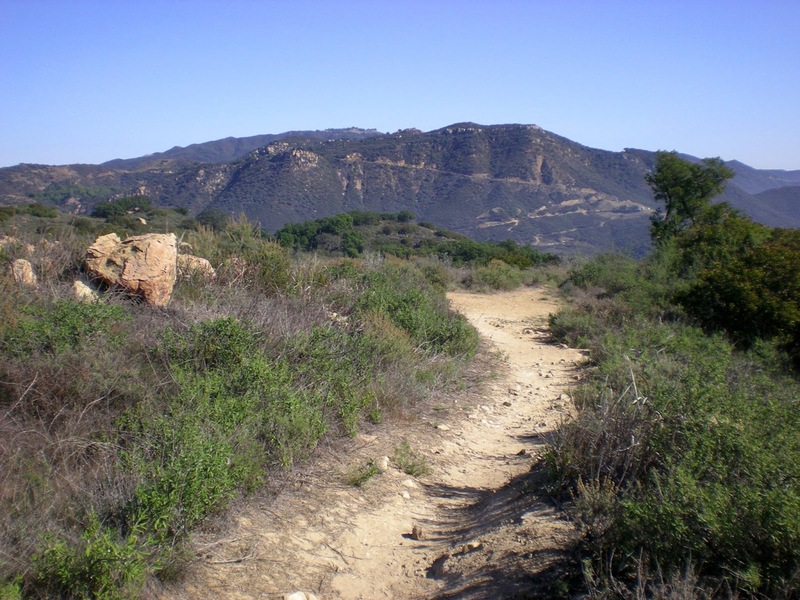 Local conservationists successfully lobbied congress to create the Santa Monica Mountains National Recreation Area in 1978. These were two key elements in the fight to save the local coastal zone from being paved under. It was the power of the coastal act that finally ended the marina proposals. The Coastal Commission also partially reigned in the county’s other development plans in 1986, halving the proposed maximum build-out along the Malibu Coast from 12,095 to 6,582, with a 2,111-unit cap on residential development until PCH could be “improved.” (we’re still waiting for that one). Developers seized the opportunity during the rabidly pro-development 1980s to push through many of the ugliest commercial buildings on Pacific Coast Highway. The one on the left added insult to injury by replacing the historic train shed from the old Rindge Railroad. 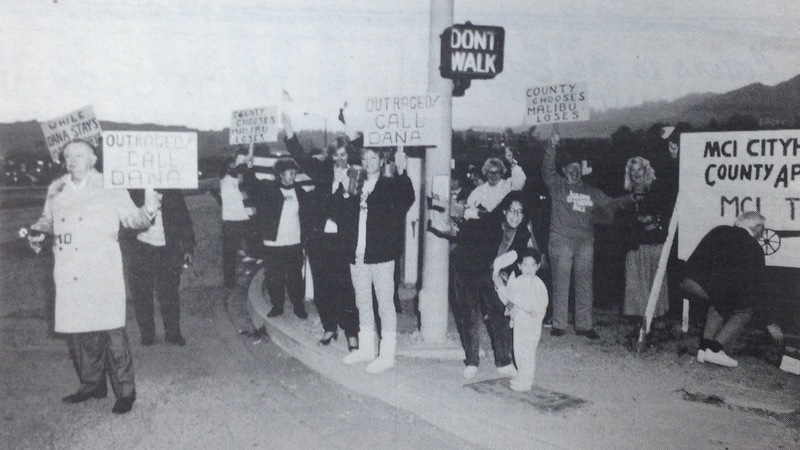 The Coastal Commission's 1986 land use decision met fierce opposition from L.A. County Supervisor Deane Dana, who presumably just couldn’t bear to see all of that revenue—and potential voter base—slip away. He threatened the commission with legal action, and when the Malibu Committee for Incorporation succeeded in jumping through all of the hoops necessary to put Malibu incorporation back on the ballot, he famously vowed to "bury the process or delay the process," so Malibu residents would be unable to move forward with the election. I was convinced as a child that the Los Angeles County Supervisors was something like this, with Deane Dana in the starring role as the Lord of the Sith. Walt Keller, who worked tirelessly on incorporation and went on to become Malibu's first mayor, described Dana as the "Sewer King." In a December 17, 1989 L.A. Times interview he stated that Dana's "whole attitude has been insulting." Dana's response was that the opposition he encountered in Malibu was "of no consequence, really," and that "if they spell my name right, it doesn't make any difference." The county was redistricted towards the end of the Malibu cityhood battle, placing Malibu under the care of Supervisor Paul Edelman, the only supervisor who had supported the local independence movement. 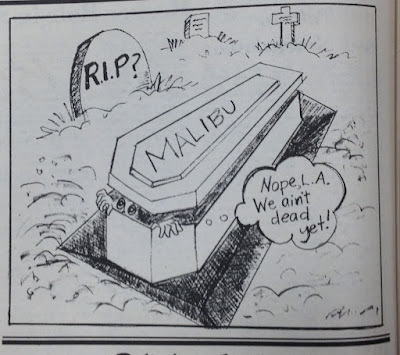 Fortunately, Malibu has had a much better relationship with the county in the decades following the departure of Dana. 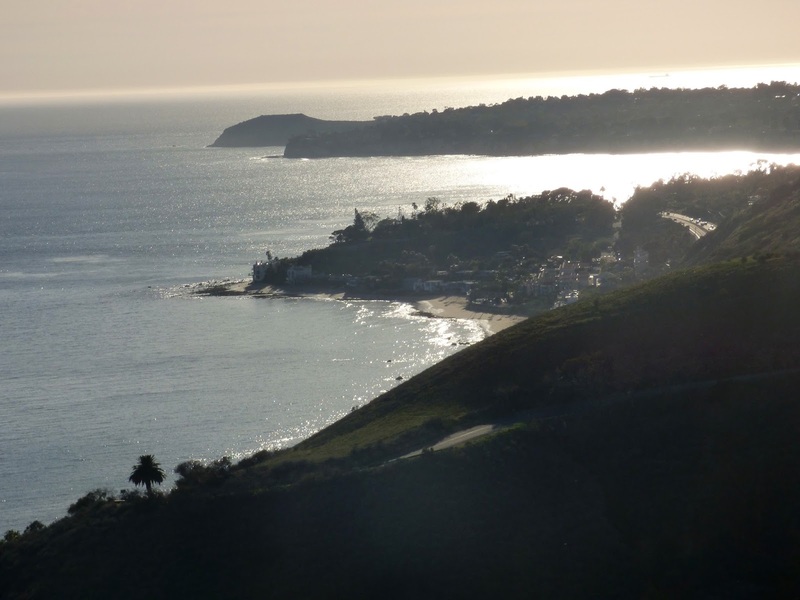 1986 was an important year for Malibu, not just because of the land-use debate. It was the year the county revealed plans for a 17-mile-long sewer running down the middle of PCH to a central treatment facility that would dump effluent straight out to sea at world-famous Surfrider Beach. Assessments of $13,500-$26,000 were made for every property owner in the community. 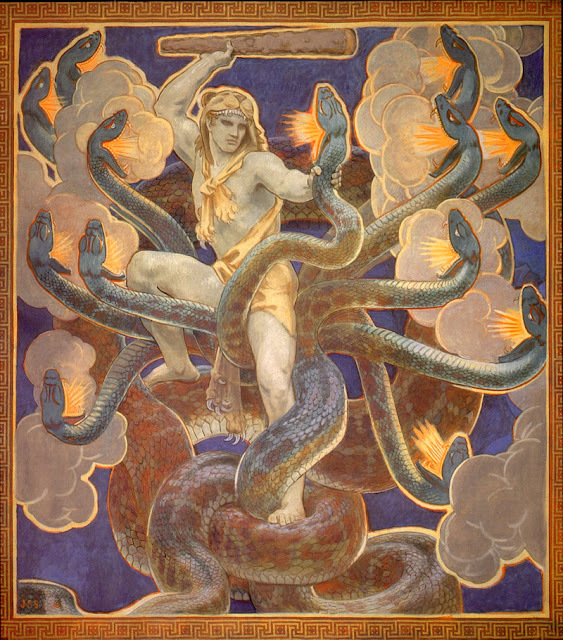 The controversy over this mega-sewer ignited the final push for independence from the county. The sewer would facilitate not only the buildout of the Malibu Civic Center, including that five-story, 500-room hotel, but also a new “urban center” at the bottom of Topanga Canyon. 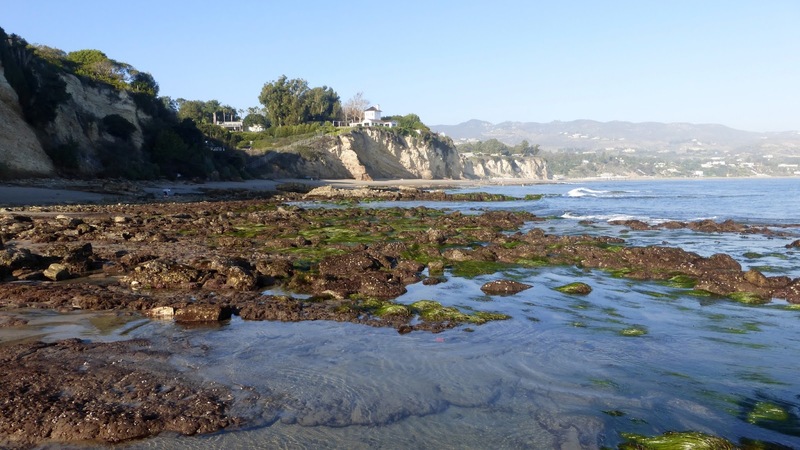 This city of 700-800 apartment units and condos, and “upscale shops and restaurants and a new multimillion-dollar channel to safely and permanently route Topanga Creek to the ocean,” according to the Los Angeles Times. It was to be an entire new city, and for many Malibuites, it offered the final proof that there was no end to the greed and tone-deafness of developers. 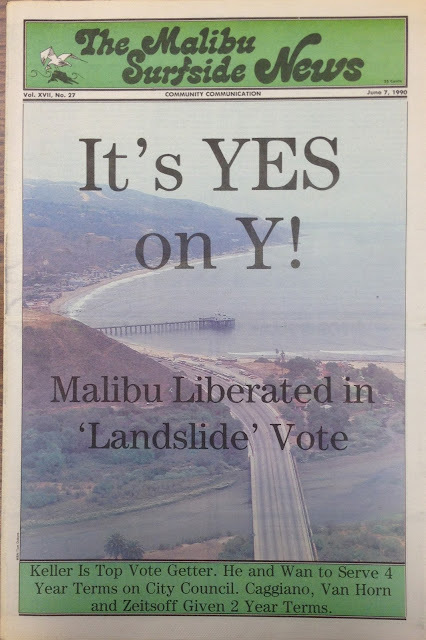 Malibu could and did, and is celebrating its 25th year as an independent city. 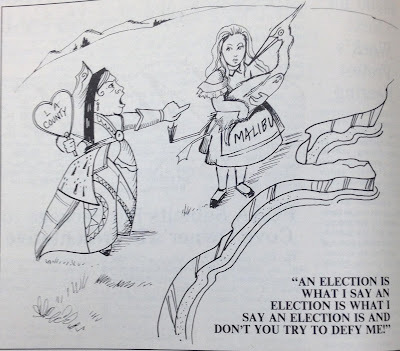 The February 8, 1990, Malibu Surfside News reported that “Los Angeles County Superior Court Judge Dzintra Janavs has issued the order for the cityhood vote in the form of a mandamus writ.” After three years of open warfare with the county, Malibu incorporation appeared to be finally headed for the ballot. However, in order to get it there, the judge had to threaten the supervisors with contempt of court and order them to set the date, a sort of municipal shotgun wedding, or perhaps a shotgun divorce. The fourth and final campaign for an independent Malibu began in 1987. It was an uphill battle all the way, but after three years of protests, lawsuits, countersuits, and appeals, Measure Y finally made it to the ballot. Malibu Incorporation passed by a landslide on June 5, 1990. Anne Soble, the original publisher and editor of the Malibu Surfside News, was committed throughout the entire multi-year battle to ensuring that the Malibu incorporation process receive due process from the county. Looking back at that coverage was a reminder to me of how journalism can help a cause by providing facts, demanding accountability from the players and keeping the story alive over time so that those not involved in the front line can know what's happening in the trenches. The City of Malibu is not perfect. 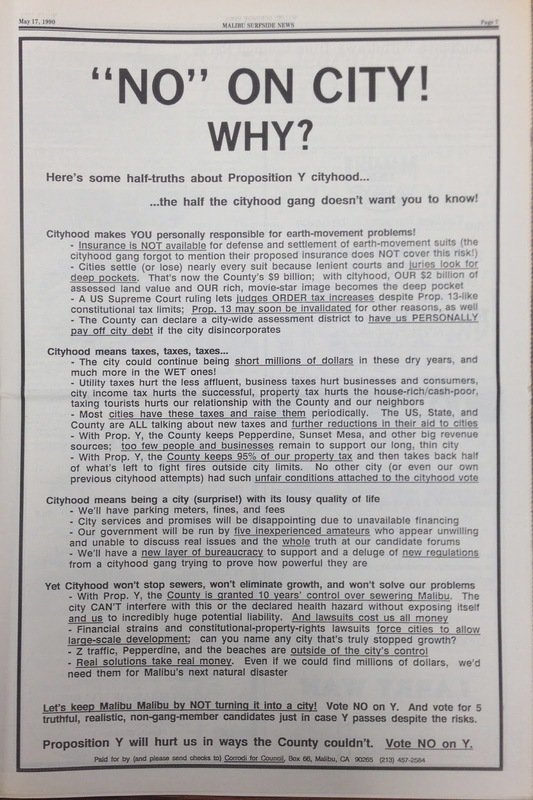 Some of the major issues that fueled the incorporation effort continue to be contentious, including development in the Civic Center, which was delayed for a full generation but is once again an issue of critical importance and one that is no less divisive than it was a quarter of a century ago. However, despite the discord and continuing challenges, much has been accomplished. Malibu has changed in 25 years, and not all of that change has been for the better, but there are still a lot of all the things that make Malibu special and worth fighting for. It's still the unique land and marine environment that has inspired generations of activists to make an extraordinary effort to preserve it. A quarter of a century after incorporation, we have a Marine Protected Area instead of marinas; open space parks in place of golf courses and county clubs; a national park in our backyard instead of wall-to-wall housing developments and freeways; and a City of Malibu that has a population of 12,861, not 117,000. And no matter what ultimately is built in the Civic Center, it won't be the 2.2 million square feet of development once sought. All of that is because, in the words of Walt Keller, "hundreds of volunteers worked thousands of hours to make it so." Here at the Malibu Post, we like to look at this full-page ad opposing Measure Y when we're discouraged, because it’s a sterling reminder that while the City of Malibu is a long way from perfect, it’s a huge improvement on what the county was planning for us, and none of the doom and gloom prophesied by that handful of incorporation naysayers has come to pass. Taxes, taxes, taxes! Parking meters! Lousy quality of life! Dogs and cats living together! At the 25th anniversary celebration, current Malibu Mayor Laura Rosenthal presented Malibu's first Mayor, Walt Keller and his wife and partner Lucile Keller with the first annual Walt and Lucile Keller Award for service to the City of Malibu. The Kellers, with customary modesty, accepted the award in the name of all the unnamed volunteers who made cityhood a reality. I can testify to how hard those volunteers worked. I saw it first hand. So thank you, Dad, for all you did for Malibu. And heartfelt thanks to all of the unsung local heroes who have cared so passionately for the place that Frederick Hastings Rindge called "very near terrestrial paradise" and who have worked so hard to save it. 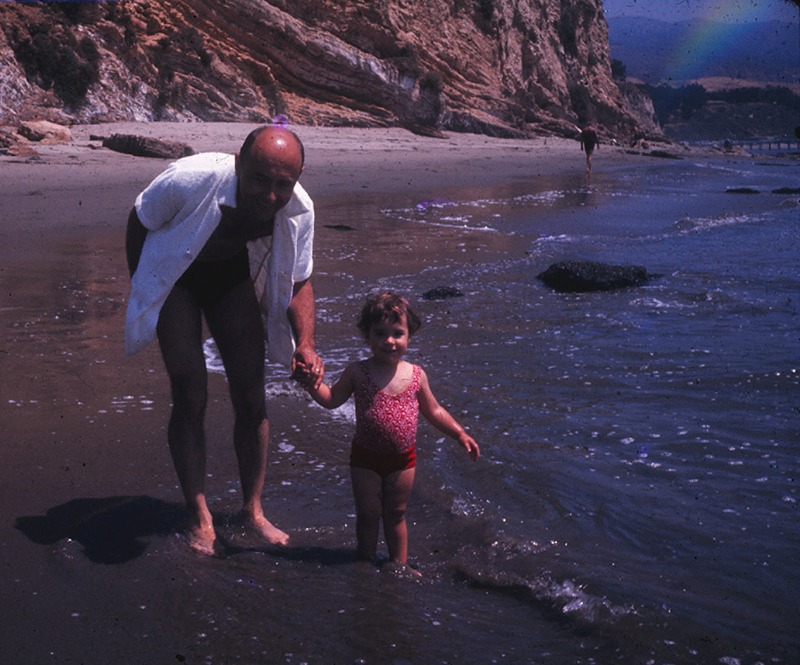 Dad and me in the early 1970s, under a rare summer rainbow on the beach he was working so hard to save.